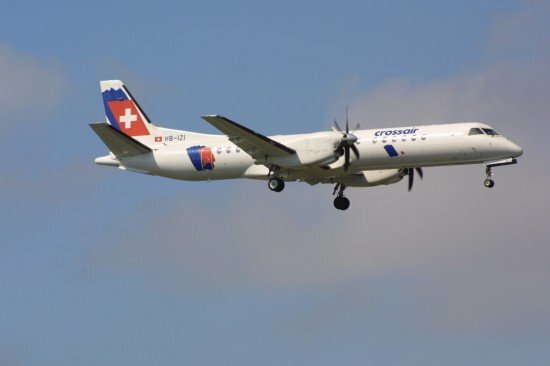 The European Aviation Safety Agency (EASA) issued an emergency airworthiness directive following a rudder control incident on a Saab 2000 turboprop plane. EASA reported a recent occurrence of rudder pedal restriction on a Saab 2000 aeroplane. Subsequent investigation showed that this was the result of water leakage at the inlet tubing for the in-line heater in the lower part of the forward fuselage. The in-line heater attachment was found ruptured, which resulted in water spraying in the area. Frozen water on the rudder control mechanism then led to the rudder pedal restriction. Analysis after the reported event indicates that the pitch control mechanism (including pitch disconnect/spring unit) may also be frozen as a result of water spray, which would prevent disconnection and normal pitch control. This condition, if not corrected, could result in further occurrences of reduced control of an aeroplane. Prompted by these findings, as a temporary action to avoid this potential unsafe condition, SAAB has determined that the potable water system should be deactivated. SAAB is working on a solution that is expected to eliminate the consequences of water spraying in the area. This Emergency AD requires deactivation of the potable water system. This AD is considered to be an interim action and further AD action may follow.